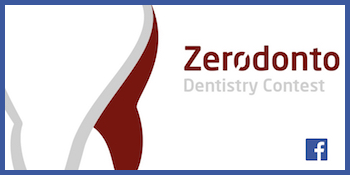 The ever-increasing request for orthodontic treatment in adult patients has determined an increase in lingual orthodontics. The request for treatment is often determined by aesthetics and the need to solve misalignments of the anterior region. For this reason a new alignment method using lingually bonded elastic wires has come into being (1-2). These devices, as reported by the patients, are much more comfortable than lingual brackets. 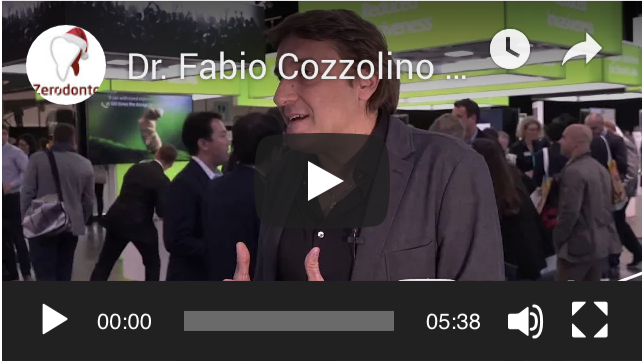 This new lingual device was invented by Prof. Aldo Macchi and Dr. Nunzio Cirulli. In 1999 they published two articles about an innovative lingual method that used an aid they had developed called “Active Stabilization Holder” (MAC, from the Italian “Mantenitore Attivo di Contenzione”). The MAC is a fixed active retainer, made up of a .012 inches Nickel Titanium wire bonded with a light-polymerizing composite resin (1-2) to the teeth adjacent to the ones to be moved. 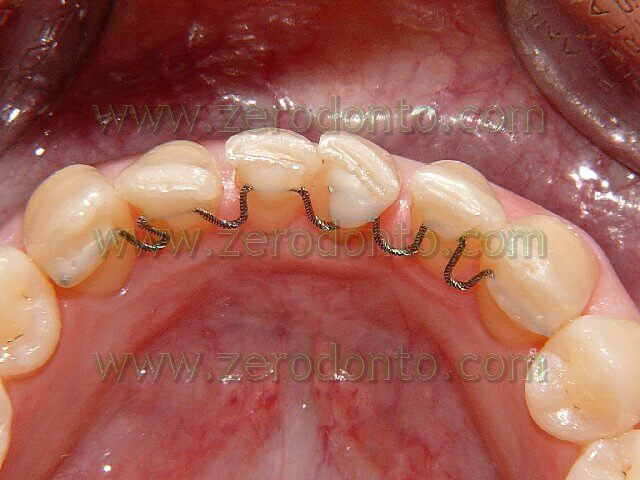 In 2001 Dr. Eri J. W. Liou published an article where anterior dental overcrowdings were solved using Nickel Titanium wires bonded on the lingual surface of the canines and moved to the lingual surface of the anterior and lateral incisors by means of interdental metallic retainers (3). 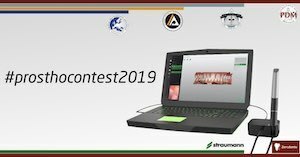 The dental alignment method by means of lingual orthodontics without brackets, springing from an association of the elastic properties of the wire and the principles of biomechanics, has undergone subsequent evolutions from its own creators. 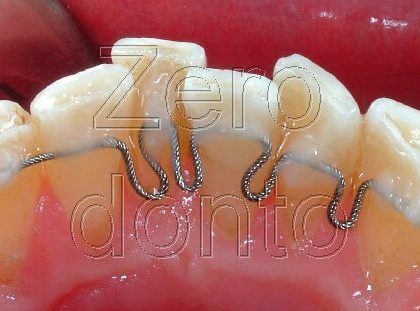 These retainers are made up of 0.175 inches thick interweaved wire. 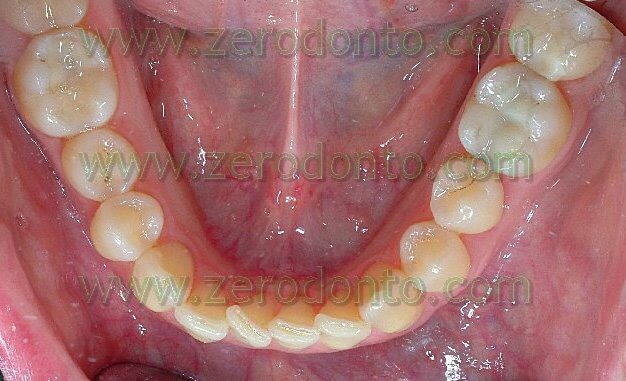 The following clinical case was carried out using this procedure. 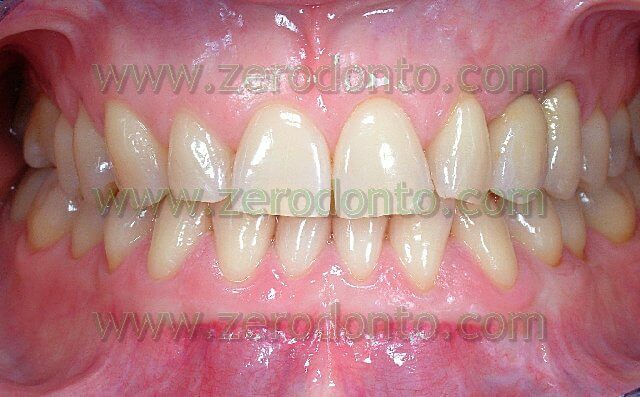 The patient showed a dental first class malocclusion characterized by a light mandibular overcrowding and a preceding extraction of the 16. In region 23 an implant had been positioned because of the extraction of the included canine. 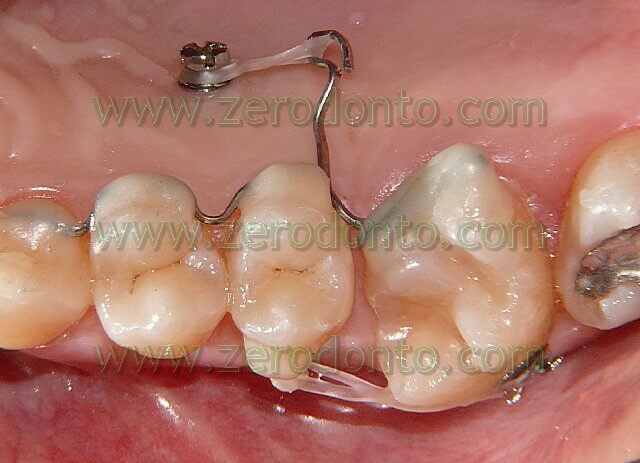 The mandibular alignment was obtained using an active retainer made up of a 0.175 inches thick interweaved wire. This retainer was modelled with mesial and distal loops on central and lateral incisors, with an offset bend by the distal margin of the 42. Before bonding the retainer, the loops were opened of about 2 mm. 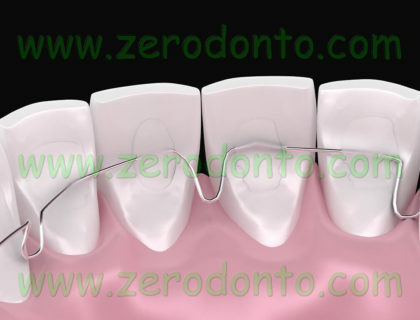 Moreover the wire was stopped with bird beak plier where the mesial loop at the 32 continued on the horizontal segment of the wire to be bonded at the 32. Both the edges of the wire were bent lingually creating a V bend with the top heading buccally. This activation will provide expansion in the zone 31-32 and will allow for the derotation of the 32. With the same procedure another V bend was modelled distally to the part to be bonded at the 41, right before the distal loop. 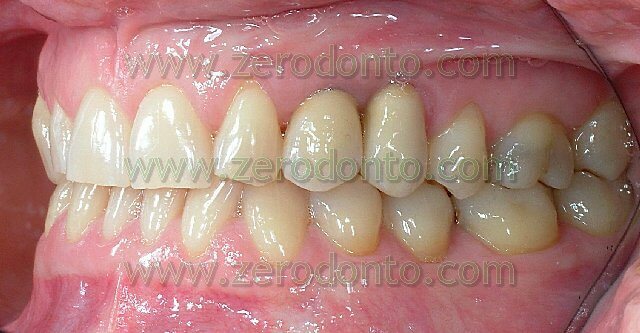 After cleaning the lingual surface of the teeth, they were etched for 30 seconds. Afterwards the adhesive was put on and polymerized. At first the wire was bonded with fluid composite on the 31, then the mesial and distal loops at the 32 were closed with a utility tool of about 2 mm and the horizontal plane kept with another utility tool or a probe; finally the retainer was bonded on the 33. The segment to be bonded on the 32 was situated more lingually displaced on the distal margin of that element because of the previous V bend: it was drawn near the lingual surface of the 32 and then bonded. With the same procedure, the mesial and distal loops at the 41 and 42 were closed and the retainer bonded on the 42 and 43. The segment to be bonded on the 41 was situated more lingually displaced on the mesial sector of that element, because of the previous offset activations and V bends: it was moved from the lingual to the buccal side and bonded on that tooth. 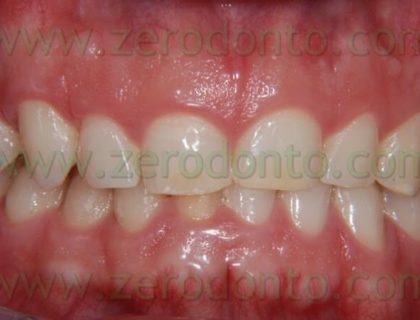 It is obviously important, during the bonding procedure, not to let the composite flow down on the gums in order to avoid periodontal problems. 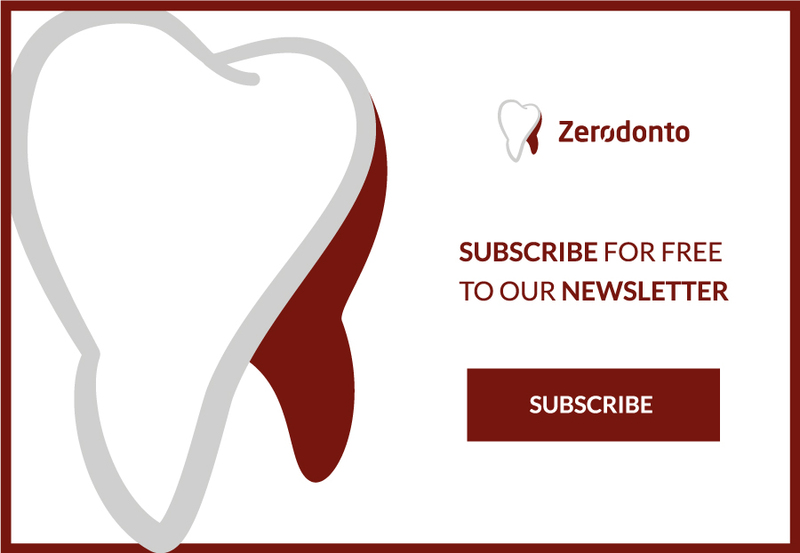 With these activations, the more the loops make more room, the more the intercanine diameter, the buccal extension of the mesial margin of the 32, the distal margin of the 41 and the lingual extension of the distal margin of the 42 and 32 increase. Checkups were carried out every 3 weeks. On each check-up the retainer was removed from the teeth where the activations were to be performed again (32 and 41) removing most of the composite covering the wire with a diamond cylindrical bur put on a multiplier and providing irrigation. Afterwards a leverage movement was made with a probe to remove the retainer. 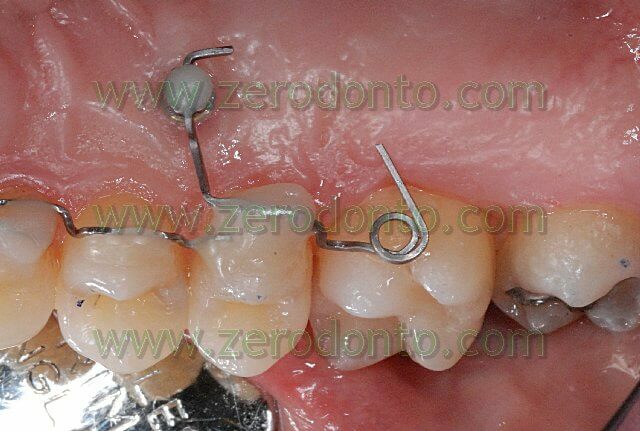 In concrete terms, to avoid any damage to the retainer not all the composite was removed with the bur but the last bit was taken away using the probe as a lever: then, the wire was removed. 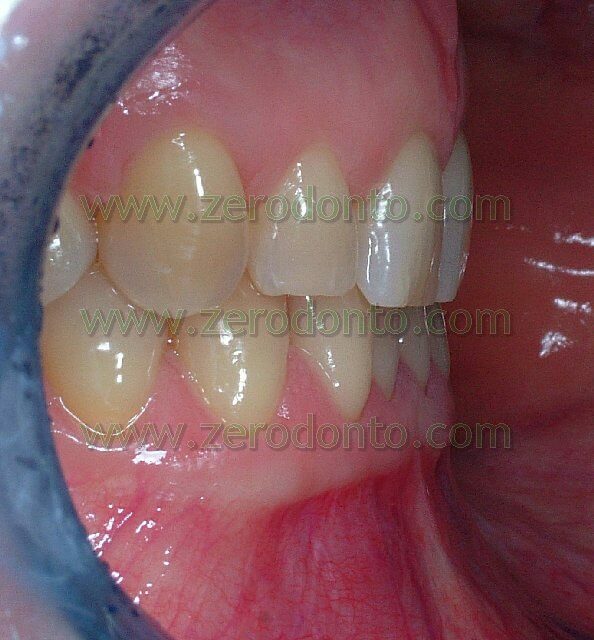 To bond the retainer again there was no need to etch since there was a thin layer of composite on the teeth. On the other hand, the composite was coarsened with the diamond bur previously used but at lower rpm and without irrigation, cooling with air, creating mechanical micro-retentions. Afterwards the adhesive and the fluid composite to bond the wire were put in place. After 2 months the derotation of the 32 and 42 was complete and it was time to give lingual extension to the 31 and continue the derotation of the 41. On every check-up (once every 3 weeks) the wire was removed from elements 31 and 41 bending lingually the segment to be bonded on the 31 and shaping the offset bend by the distal margin of the 41. 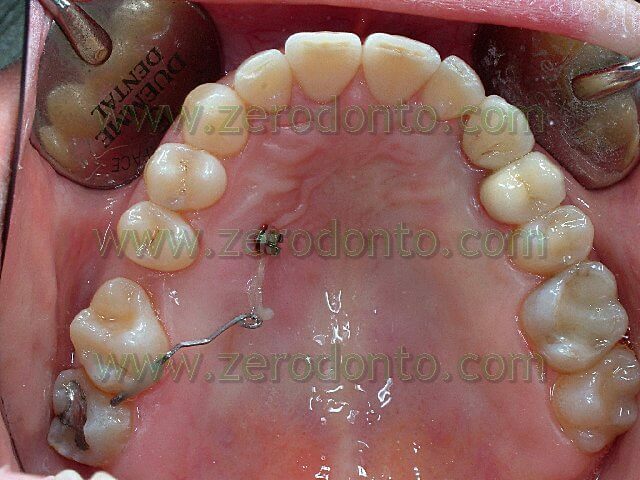 After approximately 4 months the alignment was complete and the active retainer was replaced with a passive one. On the maxillary arch a palatal micro-screw was positioned between the 14 and 15 by the Resistance Centre (RC) of the 17 to mesialize the 17: this was done considering that this element was rotated in mesial-buccal direction. 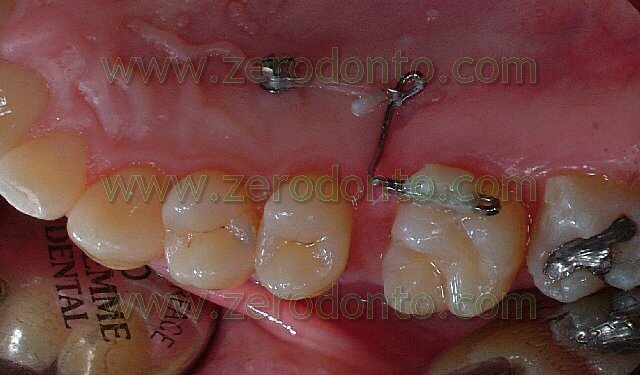 A power arm was bonded on the palatal surface of the 17 and was linked to the micro-screw by means of an elastic chain. This system generated a force able to mesialize the 17 derotating it. As soon as the palatal rotation of the 17 started, it was controlled applying an elastic chain between the 15 and the 17 (the ideal solution would have been to apply a buccal force when the molar was completely derotated). 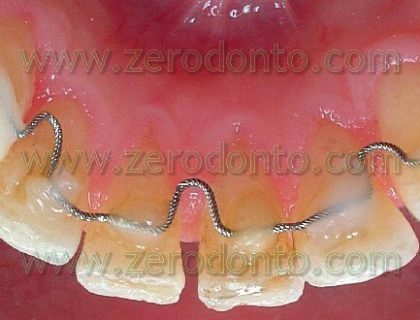 A 16-16 steel wire was shaped in order to passively adapt to the lingual surface from the 15 to the implant in region 23. 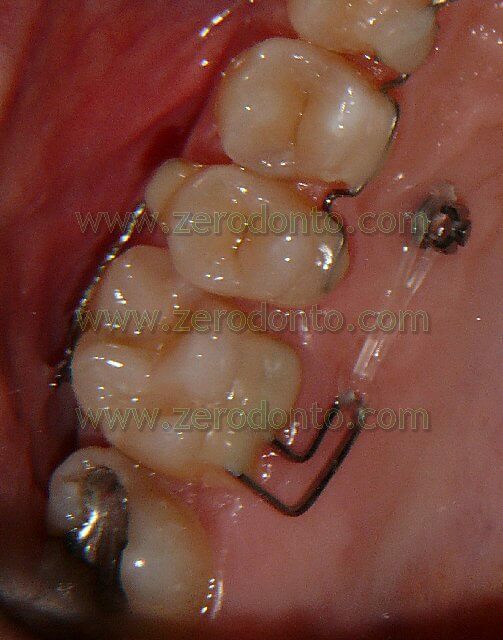 The alternative to this stabilizing sectional, in particular if there had been no implant in region 23, would have been to position another buccal micro-screw. 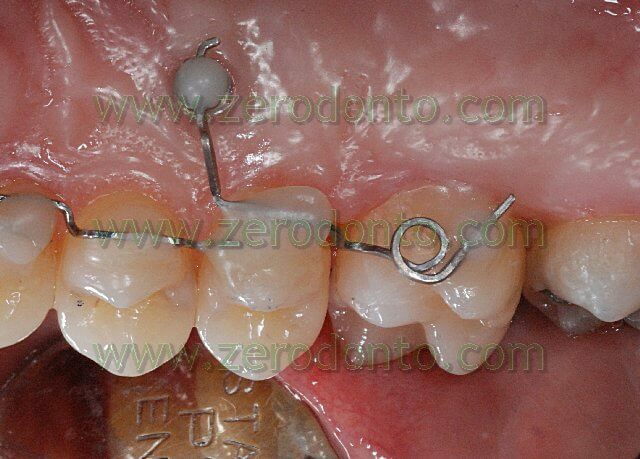 At the moment (12 months later) there is a tip spring on this molar, at the base of the micro-screw, to complete the mesialization of the root. 1. Macchi A, Rania S, Cirulli N. Una proposta per la gestione di disallineamenti anteriori: il mantenitore attivo di contenzione (MAC). Mondo Ortodontico, 1999; 5: 389-393. 3. Liou EJW, Chen LIJ, Huang CS. Nickel-titanium mandibular bonded lingual 3-3 retainer: for permanent retention and solving relapse of mandibular anterior crowding. American Journal of Orthodontics and Dentofacial Orthopedics, 2001; 119:443-449.